Rachel Carson Council President and CEO, Dr. Robert K. Musil, was a Woodrow Wilson Visiting Fellow for a week at Furman University in Greenville, South Carolina. Furman, a highly-rated national liberal arts college, is also a leading green campus. It has also become one of the most recent to join the growing Rachel Carson Council Campus Network (RCCN). 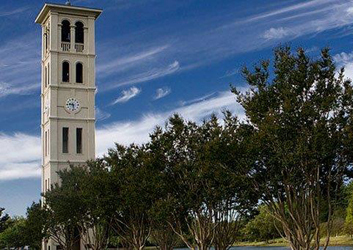 Furman, founded in the nineteenth century to train ministers, moved to its current campus after World War II when Greenville was primarily a textile center whose polluted local river changed colors depending on which dyes were being used in the mills. Musil was hosted for his week at Furman by the Riley Institute of Government, Politics and Public Leadership. The Institute is named after Richard W. Riley, former U.S. Secretary of Education and Governor of South Carolina, who serves as its President. The Riley Institute, affiliated with the Furman Department of Political Science, offers an array of public programs and conferences and brings leading policy makers and experts like Bill Clinton, Christine Todd Whitman, and others to campus.